I made this pie months ago. I don’t even remember the occasion, but I’ve had the photos hanging out on my computer, waiting for March to come around when everyone goes crazy for Bailey’s. But the thing is I love Bailey’s all year round. Kind of like how I’ll eat ice cream or fro-yo on the coldest day of the year. 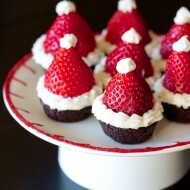 When it’s good, there’s no need to confine a favorite food/drink/flavor to a particular season. That’s probably why there’s not an ounce of green peeking out from photos below, this is an amazingly delicious dessert year-round! But like the rest of the blogosphere, I’m all about seasons here on the blog, so Bailey’s is the star of the show this week in honor of the upcoming March 17th holiday. 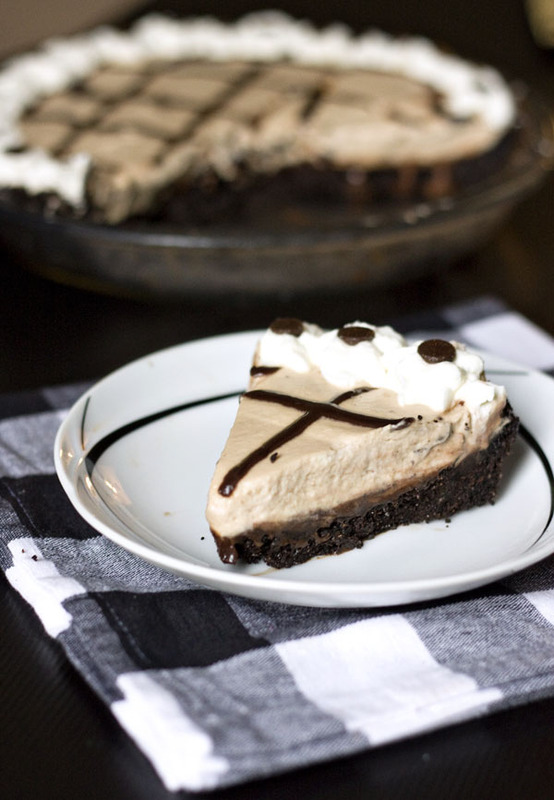 If you love Bailey’s, you will love, love this pie. 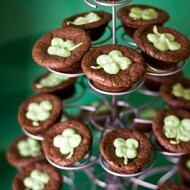 It’s like eating Irish Cream in cloud-like form, and with an incredible dose of chocolate to round it all off. I love a good Oreo crust, so of course I overdid it and made the crust super thick, but it was a great contrast with the light mousse. You’ll also notice a little sliver of melty, gooey chocolate peeking out between the layers just because I thought I couldn’t really go wrong with more chocolate. And I was right. The filling doesn’t require baking, so you get the full dose of alcohol with the mousse rather than it baking out, which isn’t really much considering Bailey’s is just a liquor, but it’s enough to give it a little bit of a kick. Perfect for those of you looking to celebrate St. Patrick’s Day in a mild manner with pie instead of pints of green beer. As for me, I’ll be in South Boston next Sunday at the parade with a dyed beverage (or two) in hand, but I wouldn’t mind a slice of this pie too! Over the years I’ve decided to celebrate St. Patty’s mostly with Bailey’s, including my Bailey’s Cupcakes, Bailey’s Filled Truffles, and even Guinness Brownie Bites with Bailey’s Frosting, and this year is no exception. But this recipe is very adaptable based on what you’d like to flavor the mousse with. Other boozy options include Kahlua or Frangelico, but you could also keep things kid-friendly with strawberry puree or your favorite juice flavor (pomegranate would be delicious!). 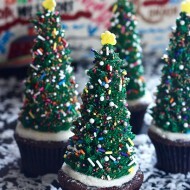 I chose to decorate with whipped cream and melted chocolate, but again the possibilities are really endless. 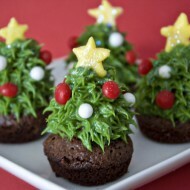 So if you want to embrace the holiday more than I did, load it with green sprinkles and even dye the whipped cream green! - Preheat oven to 350 degrees and grease a 9" pie plate with non-stick spray. 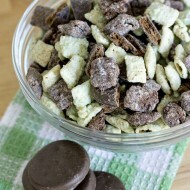 - Crush the Oreos in a food processor or in a ziploc bag with a rolling pin. Transfer to a medium bowl. - Pour melted butter over Oreo crumbs and use a fork and/or your clean fingers to combine. - Press into a greased pie plate and bake for 7-9 minutes. Set aside to cool completely. - Combine the chocolate chips, heavy cream, corn syrup, and vanilla in a microwave-safe bowl. Microwave on 50% power in 30 second intervals, stirring well in between each, until completely melted and smooth. 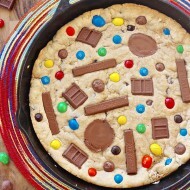 - Spread chocolate mixture over the bottom of crust and freeze for 10 minutes. - Pour 2 tbsp of the Bailey's into a small bowl. Sprinkle the gelatin over it and stir slightly. Let the mixture sit for 5-10 minutes to soften. - Place the chocolate in a double boiler with the 2 tbsp of heavy cream, and heat until the chocolate is completely melted. Set aside to allow mixture to come to room temperature. - In a small saucepan, bring the rest of the Bailey's to a simmer over medium heat (be careful with the alcohol over heat, just keep your eye on it!). Pour the warmed Bailey's over the gelatin mixture, and stir until the gelatin dissolves compeltely. Allow this mixture to also cool to room temperature. Make sure everything is cooled before moving on to the next step, or the whipped cream will clump. - In the bowl of an electric mixer fit with the whisk attachment, beat the 2 cups of heavy cream on high speed until medium peaks form. Slowly add the sugar and chocolate/cream mixture and continue to mix until incorporated. - Next, add the Bailey's mixture and beat on medium speed until well combined. 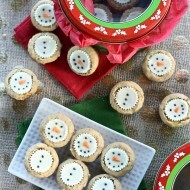 - Pour the mousse into the prepared pie crust, and use an offset spatula to even off the top. Melt some more chocolate for a criss-cross design and/or whip up some extra whipped cream for a border using a large star tip. This looks fabulous! I love Bailey’s! Oh wow your pie looks amazing! 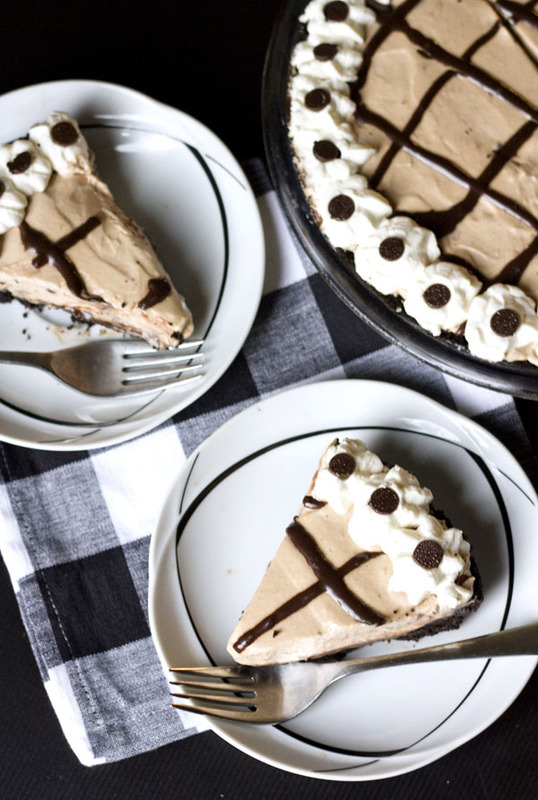 I do love baileys and I would definitely love to try this pie! I am sure you will be a wonderful dentist….but you will certainly have a whole lot more willing customers at Erica’ Sweet Tooth Bake Shop. All the best on your upcoming nuptials. 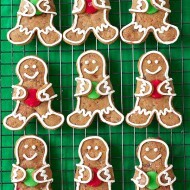 I cannot stop reading and viewing all your creative and tasty cookies, bars, cakes….drool..Thank you for all your hard work. I’m excited to try this, but I’ve never made an Oreo cookie crust before. Should I remove the filling of the Oreos before crushing them? Or should I leave it in? 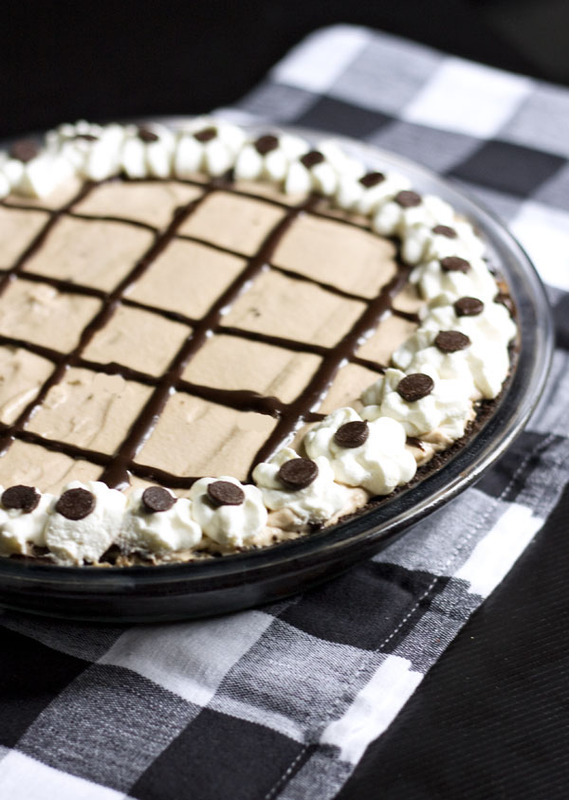 This pie looks awesome! I opted to make a cheesecake following your recipe under the carrot cake/cheesecake combo, but added Bailey’s and melted chocolate. It came out great! 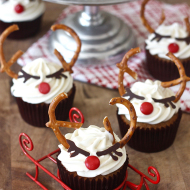 I just tried to make this and the Bailey’s mousse mixture seems a lot runnier than yours. How am i supposed to thicken it so i can pour onto the choc glaze? am i missing something?